A bipartisan group of state lawmakers is pulling for an earlier presidential primary election in Pennsylvania. The commonwealth’s late-April primary all but guarantees that it won’t be a deciding factor in choosing the party nominees who go on to the general election. 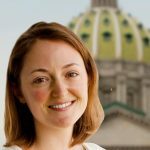 Greiner is sponsoring a measure to bump the state’s primary from the fourth week of April to the third week of March, which would put Pennsylvania almost squarely in the middle of the primary calendar. “It’s probably not going to be feasible this primary,” said Greiner, though he’s going to try for the 2020 election year. People have talked about rescheduling the commonwealth’s primary for years. Former Gov. Ed Rendell took a stab at it for the 2008 election year. But party leaders have been cool to the idea. Some worry the scheduling change would force primary preparations into the winter holidays. Imagine collecting signatures for nominating petitions next to the red kettle at the mall. Party leaders add that an earlier primary could cost the parties some of their delegates, who theoretically pick the presidential nominee at their party’s nominating convention. Greiner insists he crafted his bill very carefully so that Pennsylvania wouldn’t lose any delegates. But Democratic Party Chairman Marcel Groen said he wouldn’t want to take the risk without close consultation with the national party. He wouldn’t want to sacrifice any delegates, if only because it’s really fun to be one.